→2014 01 19 Newsletter – Is Weil’s Disease Something To Worry About? 2014 01 19 Newsletter – Is Weil’s Disease Something To Worry About? I suppose it’s necessary sometimes to join the swarming humanity jammed into soulless shopping malls spending money they can ill afford on things they don’t really need. We needed to buy some stuff for our holiday. Sally wanted to get a suitcase, some sunglasses for me and some new underwear, also for me. I can understand the need for a suitcase. We wouldn’t get far without one. But why Sally thinks I need new underwear is beyond me. “Your briefs are old and tatty,” she scolded me. I told her that I didn’t think the state of my underwear was terribly important given that I had no intention of parading myself in front of anyone wearing them. She accused me of having no sense of style. She’s absolutely right. I have no sense of style, I never have and, at the age of fifty three, there’s very little chance of acquiring one now. A sense of style as far as I’m concerned is for someone with plenty of money and for someone who doesn’t live on a narrowboat. Underwear is for keeping your bits in place. Regardless of the colour, style and cut of my old undies, they do the job admirably. Of course, Sally won the argument. We went shopping for underwear. I picked up the first packet we can across. Sally put it back. “They’re not very nice,” she reasoned as we left Debbenhams looking for Nice-Undies-R-Us. We tried three more shops before I lost the will to live and went to sit in the car. Sally came back with a scowl on her face and nothing in her hands. I made my own dinner on Sunday evening, read for a bit and then went to bed wearing my old and tatty but practical and every so comfortable Y fronts. Oh, by the way, the suitcase shop was closed and Debbenhams had stopped stocking sunglasses for the winter. Can you see why I hate shopping? Back at work on Monday we seized an opportunity to do a bit of roofing. There’s a wash house attached to the lock cottage next to our reception and offices where we store cleaning supplies and a washing machine and dryer we use for site laundry. The sloping roof above the wash house is tiled. Half a dozen tiles were broken so rain water had been pouring through the roof every time we had rain. We’ve had rain just about every day recently so the wash house was a bit of a mess. The forecast was OK for Monday but showers were forecast for the latter part of the day. We had to work quickly. At 8am Pat and I were on the roof pulling off tiles as quickly as we could. The battens underneath had to be removed too as we also needed to replace the membrane beneath the battens. Most of the battens were rotten so I popped in to Southam for some new ones, helped Pat to tack the new membrane in place, fitted the new battens and replaced the tiles. We finished the job at 4pm… just as the heavens opened. For a change, luck was on our side. One more job ticked off the list. Tuesday was “little job day”. There’s so much to do here, even in the winter, that a day spent just tidying the site up is occasionally needed. I cut back some wild roses, raked out about a tonne of road planings around some of our new containers, collected a couple of truck-fulls of windfall branches from the willow copse next to our top car park and replaced half a dozen tree protectors blown away by the recent winds. On Wednesday I was back in my chainsaw trousers for another day’s cutting. I popped over to Flecknoe to the boss’s house to log the usable hawthorn and blackthorn from the hedge tidying I did the previous week, then returned to the marina to spend the rest of the day felling and removing the last of the damaged oak. I continued logging all day Thursday then looked forward to a relaxing day on Friday. Not a chance. There was more holiday shopping to endure. We have everything now, including a rather fetching pair of sunglasses for me. I’m pleased Sally insisted on braving the shops again. We now have everything we need so there’s no need for my normal, typically male, last minute panic. There’s not much to report on the boating front this week. The mild winter continues to limp along. With the continuous rain everything is sodden. So sodden in fact that one of our online moorers has asked to temporarily move his boat into the marina. We had ten online moorings, five above Calcutt Top Lock and five below Caclutt Bottom Lock. The five moorings above the Top Lock are next to Napton reservoir. The moorings have a wonderful view but because the path by the side of the boats also forms part of a circular walk around the reservoir, the ground underfoot has been churned into a liquid slop. So the only boat there which is regularly visited at this time of the year has moved to a temporary mooring in Meadows marina. The view isn’t quite as good but the wooden jetty is much easier to walk on. The owners may have escaped the mud but you’re never far from a rat when you’re on your boat, and where there are rats, there are diseases. Last week I told you Sally and I had been to our local surgery for our holiday vaccinations. I mentioned that Sally had been put off the trip by the nurse’s graphic description of leptospirosis. I may have exaggerated Sally’s state of mind somewhat. At the moment, she’s sat by the front doors with her sunglasses on, her suitcase clutched in her excited little hand and her eyes bright with anticipation. She sometimes (but not always) comes back into the boat for toilet breaks. As a result of the story, I received a few emails telling me that leptospirosis is actually Weil’s disease and, as a liveaboard boater, I should really know all about it. I appreciate the emails. Not connecting the two was an oversight on my part, but the kind people who took the time to email me weren’t quite right. Leptospirosis has a number of common names including mud fever, swamp fever, swineherd’s disease and the rather fetching sewerman’s flu. The cause is infected animal urine – mainly cattle, pig’s and rats’ – in water. It’s found more often in slow moving or still water such as ponds and canals than it is in faster moving rivers and streams. The infection enters the body through cuts or scrapes or the lining of eyes, nose, mouth or throat. The usual symptoms are headaches, red eyes, muscle pain and fatigue. Symptoms sometime include a skin rash and hallucinations. These are all symptoms of common or garden leptospirosis and not Weil’s disease. Weil’s disease is a very severe form of leptospirosis. Weil’s disease is a different kettle of fish. Fortunately it’s very rare in the UK. However for the very few who contract it, the disease is particularly unpleasant. The symptoms include organ failure and internal bleeding. Before you vow never to step foot near a canal or a narrowboat again, it’s important to put things into perspective. Take 2011 for example. Only 44 cases were reported in England and Wales. Fifteen of those 44 cases originated overseas. None were fatal. 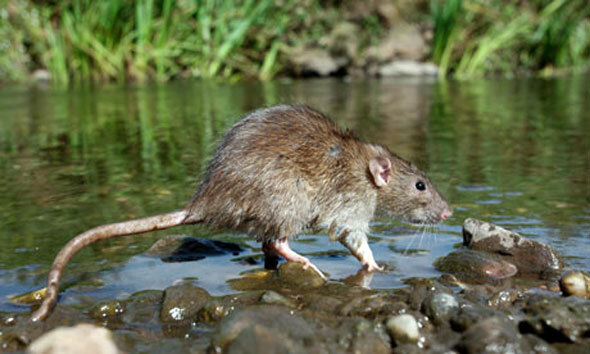 Given the enormous number of people who have frequent contact with potentially infected water – farmers and vets, water sport enthusiasts and a relatively small number of inland waterways boaters – there really is very little risk of falling foul of leptospirosis and virtually none at all of catching Weil’s disease. Still, just to be on the safe side, try not to encourage wild rats to urinate in your mouth just after you’ve had a tooth out. I’ve just finished making some changes to the site which, I hope, will make life easier for both you and for me. One of the changes is to move to a different newsletter server. To prepare for the move I’ve been doing a bit of housekeeping. I’ve removed a number of subscribers who, according to the software I use, haven’t been reading their weekly newsletters for the last couple of months. However, I don’t have complete faith in the accuracy of the software. I’ll be switching to the new server in time for the newsletter on 26th January. If you haven’t received your usual Sunday newsletter email by midday on 26th January, I’ve probably removed you from the list in error. I apologise in advance if it happens to you, but there’s an easy solution. All you have to do is either click on the link for the free eBook download in the left hand column of the main part of the site, or click on the link in my signature on any of the 1,000+ posts I’ve made on the forum to get yourself back on the list. I published the first part of Julian Cox’s account of his wide beam self fit out last week. I’ve published part two this week. You can read about the installation of his pine ceiling and oak cladding, fitting a spacious galley, an even more spacious double shower and installing his corner bubble stove. You can also read about his composting toilet. Composting toilets are fitted on a relatively small number of boats but I’ve heard great things about them. There are no costly regular pump out fees, no need to lug a heavy cassette to an Elsan point every two or three days and no worry about how you’re going to empty your loo when your boat is ice-bound in the winter and no smell. About every six months the non-smelling solids need emptying out. It’s not as bad a job as you might think. I stood chatting to a fellow boater a few months ago as he carried out his biannual clear out. I couldn’t smell a thing. Here’s the latest installment for you. How would you like a narrowboat which never rusts, never needs to be taken out of the water to have its bottom blacked and which has paintwork said to last for twenty five years? Site subscriber Brian Collings has one. It’s an aluminium narrowboat made by Sea Otter. 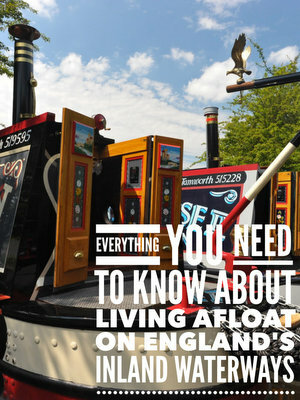 Sea Otter’s first narrowboats in 1992 were tiny seventeen and twenty one feet long trailable “go anywhere” boats. The size of their order books have increased as Sea Otter have increased the length of the boats they sell. Now they offer a variety of lengths from their 21′ – 32′ trailable boats up to their longest 56′ narrowboat. In 2010 Brian had his new boat built. He’s painstakingly documented the build process from the original aluminium sheets for the hull to the boat’s launch, the teething problems he had in the weeks following the launch and his first cruises in his new boat. It’s a fascinating account. I’ll be publishing the first two parts of his story in the 2nd February newsletter. I’ll be somewhere in the sky between Hong Kong and Manilla at the time the newsletter normally goes out. I don’t know what the internet connectivity is going to be like while I’m away so I’m writing as much content now as I can so that there’s a seamless service while I’m on holiday. I know how much you look forward to your Sunday treat! vaccines Make sure you are up-to-date on routine vaccines before every trip. These vaccines include measles-mumps-rubella (MMR) vaccine, diphtheria-tetanus-pertussis vaccine, varicella (chickenpox) vaccine, polio vaccine, and your yearly flu shot.